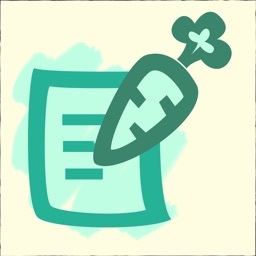 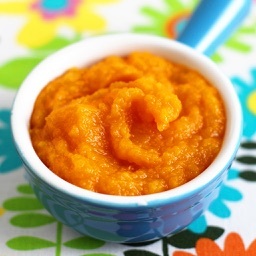 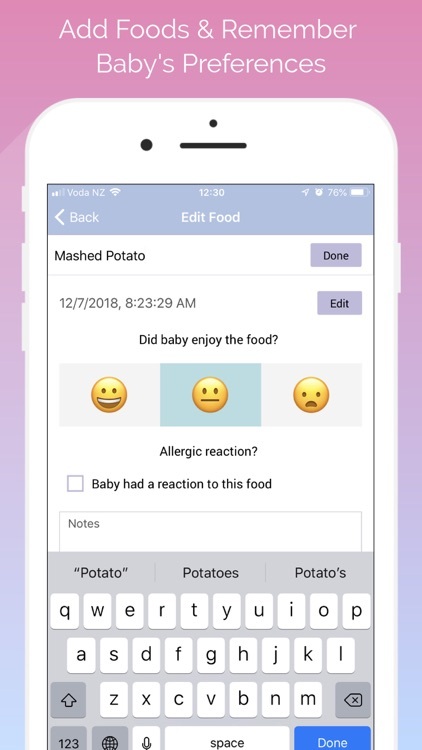 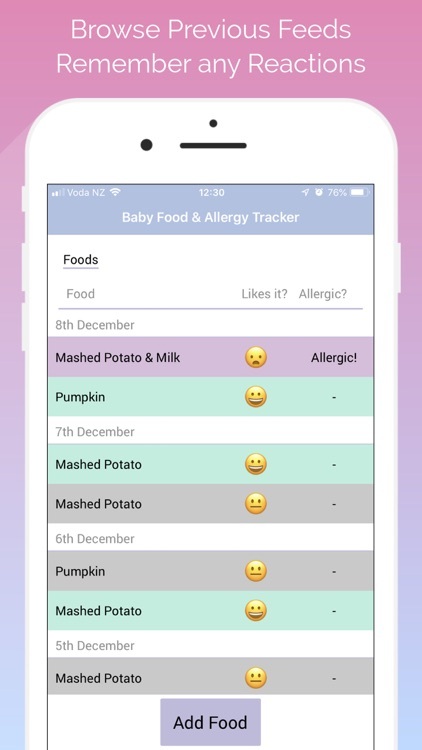 The Baby Food & Allergy Tracker can help you track the foods your little one loves, and the ones they don't! 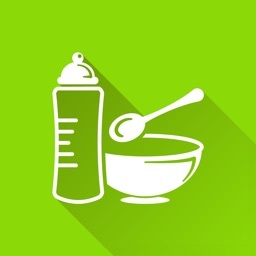 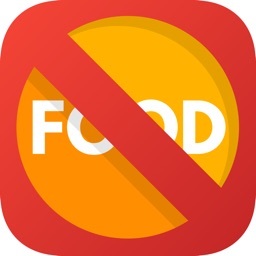 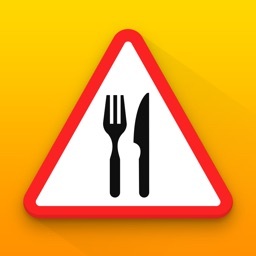 If your child has food allergies, the most effective way to deal with them is to avoid foods that trigger symptoms. 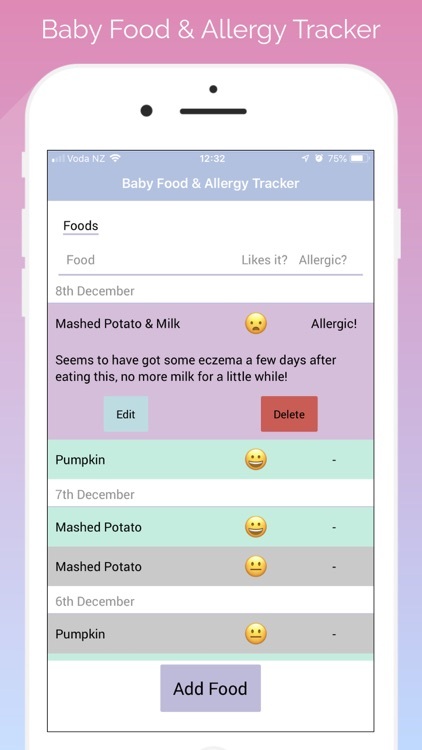 This can be tricky, though - so why not track and record their preferences with the Baby Food & Allergy Tracker app.